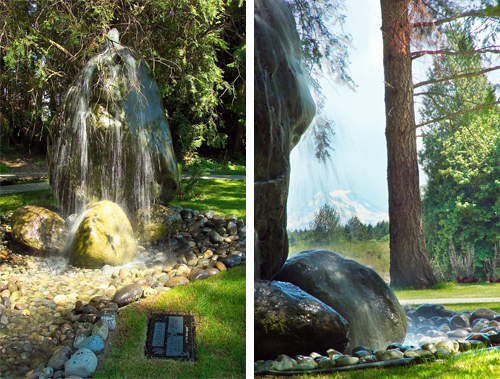 In our Deer Creek Cremation Garden, Woodlawn Cemetery offers unique waterfalls, breathtaking views of Mt. Rainer and peaceful deer grazing throughout the garden. Woodlawn is a full service facility and offers direct cremation for $995.00 with free scattering in Deer Creek Cremation Garden. A meandering creek that wanders throughout the garden. The niche spaces are designed for single (one urn) use or companion (two urns). 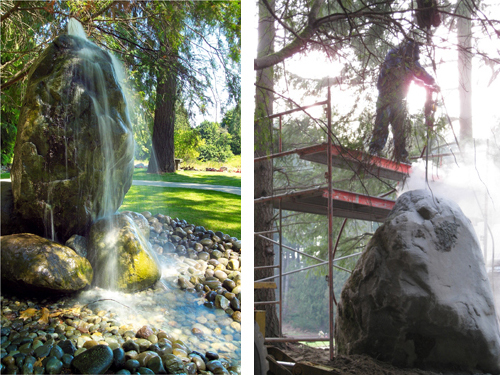 In the center is a natural rock water feature, a smaller companion to the larger natural rock waterfall. 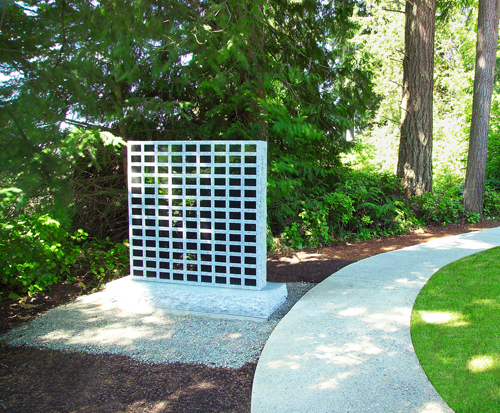 In Deer Creek Cremation Garden, your family can choose the natural setting where you would like to inurn your loved one. There are urn burial places near the pathway, beside trees, next to the creek, and near our natural rock waterfall. 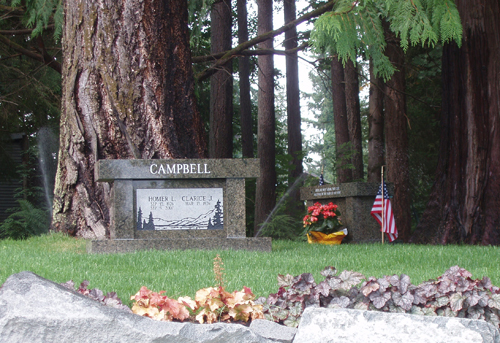 Cremation benches take the place of a traditional granite cremation marker and are designed to accommodate six urns. 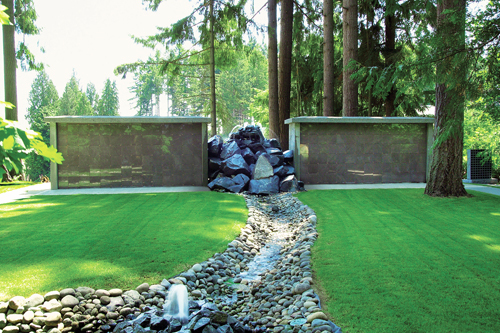 Your family can choose a cremation bench space near the pathway, in the shade of a beautiful Douglas Fir tree, or along the meandering stream which runs through Deer Creek Cremation Garden. 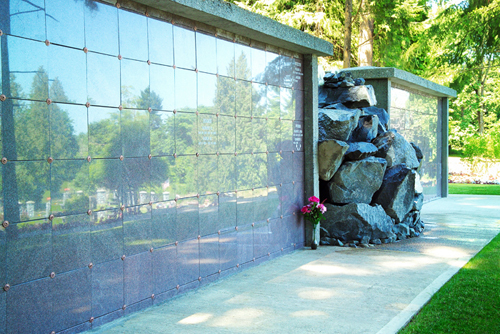 Our Memory Wall provides a place to permanently memorialize a loved one in a natural, beautiful setting. It does not matter whether your loved one is in our scattering garden which surrounds the Memory Wall, or in another country; the memory wall is a place to come and pay respects in a peaceful, quiet place. Everyone is welcome to stop by at Woodlawn Gardens and visit Deer Creek Cremation Garden. If you come during office hours (8:00 – 5:00 p.m., M-F), feel free to come in and have a cup of coffee, tea, or hot cocoa. We are also Available 24 Hours.